Do you enjoy watching comedy? Do you want to try your hand at performing comedy? If you answered yes to either then this is the place for you! 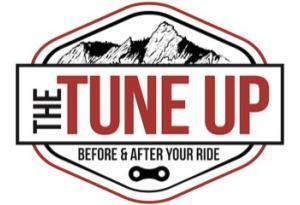 EVERY SATURDAY we host Comedy Open Mic at The Tune Up at Full Cycle. Anyone is welcome to perform. We have everything from first timers to seasoned pros polishing some jokes. Don't want to tell jokes? Great, the audience is the MVP! At the end of the night the audience's response determines what comedian takes home a $25 bar tab. There is delicious food and beer flowing all night. Sign ups start at 6:30 PM with the show starting at 7 PM.